The best lessons in business come in plain English and speak uncomfortable truths. One such example is something we learned from Hunter Walk. 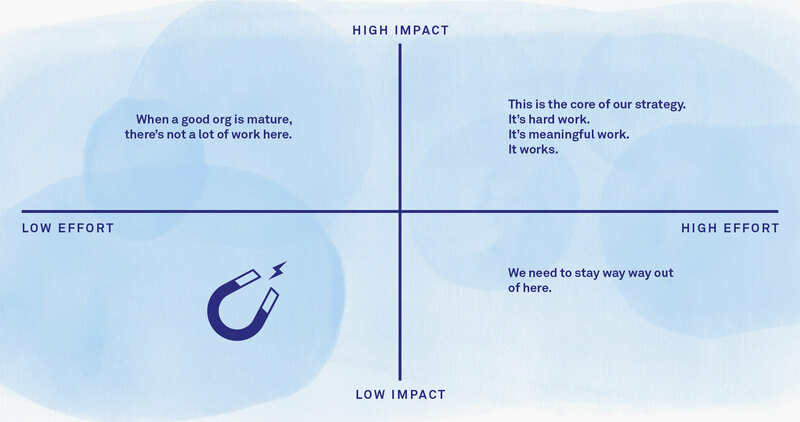 During a conversation with Ben, our Director of Growth, Hunter pointed out how fundamental it is to avoid low-impact work. To explain, he drew a 2×2 graph that has since become famous in our company. It’s the low-effort, low-impact work that can kill you, because it’s so attractive. Hunter refers to it as “snacking”. It feels rewarding and can solve a short term problem, but if you never eat anything of substance you’ll suffer. The default position for a smart team without a clear plan is to snack. When I see teams at startups rushing to copycat the latest feature of the day, or swapping “Sign up now” with “Sign up for free”, I’m always reminded of this lower left. Snacks. Even in their best case, these projects are low impact for the absolute majority of companies. 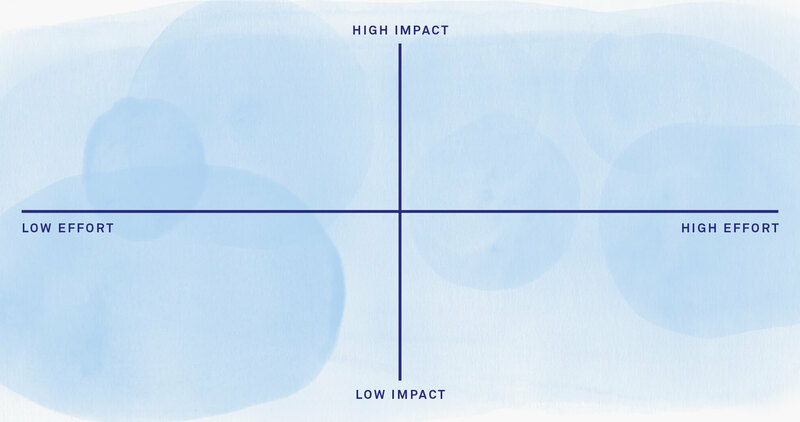 If you want to have a high impact team stay away from low impact work. Eat, don’t snack.